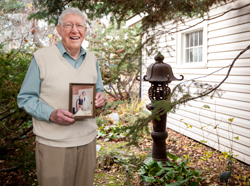 Today on Let’s Talk Butte, we hear excerpts of an oral history with Dr. James Patterson, who gave this interview at the Butte Silver Bow Public Archives at the age of 95. This recording is pulled from an ongoing series of oral histories being recorded in Butte as part of a grant from the National Endowment for the Humanities. Dr. Patterson’s father was himself a doctor, and he starts out today by talking about his upbringing. Dr. Patterson’s time in Japan was somewhat short-lived, as he was called up to go to Korea. I asked Dr. Patterson if his work treating wounds from combat affected him personally. After the war and some time back in the United States, Dr. James Patterson and his wife moved to Butte, where he would open up a practice. Upon arriving in Butte in 1957, they found the city a vibrant, cosmopolitan place to live. You’ve been listening to Let’s Talk Butte, an ongoing interview series about our city of Butte, Montana. Today’s episode featured excerpts of an oral history with Dr. James Patterson, who joined us for an oral history recording a the Butte-Silver Bow Public Archives. This interview is part of an ongoing oral history series funded in part by the National Endowment for the Humanities. Find this and other episodes of Let’s Talk Butte at our website, butteamericaradio.org.